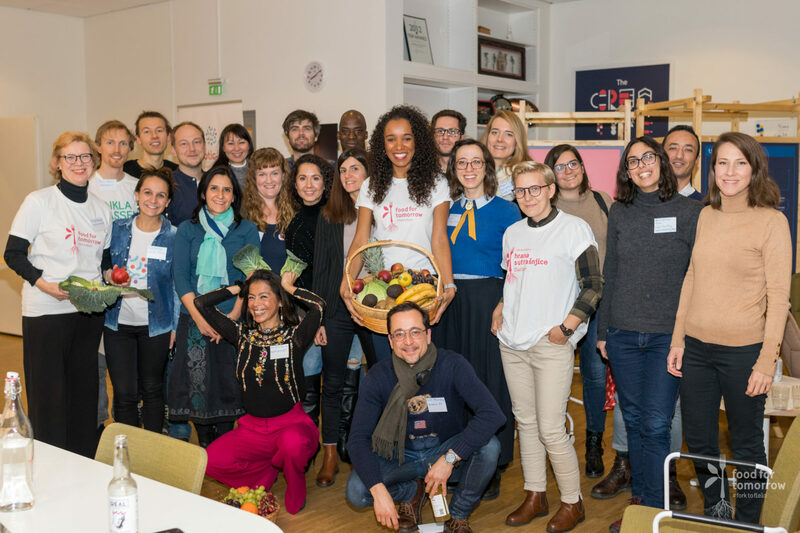 Last week at the Happy Food Workshop, part of SI:s initiative Food for Tomorrow, researchers, food entrepreneurs, restauranteurs and other key players got together to solve one of the biggest challenges in society today – revolutionising the food system from fork to field. Food for Tomorrow is a three-year initiative aiming at talented young people in the western Balkans and in Sweden to boost sustainable food systems and to raise awareness about how food affects our future. The motto is ”small is beautiful” – it´s with little gestures and steps that we are able to move mountains and spark the change we need for our health and our planet. During the autumn and winter of 2018 a series of workshops and events have been organised in Belgrade, Skopje, Tirana och Stockholm to get the conversation – and the revolution – going. On November 28th the Happy Food Workshop took place at SI. 25 participants from different sectors of the food industry as well as conscious consumers met up to discuss how we can all contribute to saving the planet by sustainable and plant based and healthy eating. – My goal is to initiate a green revolution and increase the consumption of greens, which is beneficial to both our health, our planet and our communities. In Sweden we consume much less than the recommended 500 grams of fruit and vegetables per day. By organizing this workshop I hope to create a platform where different actors from across the food industry can brainstorm and take steps towards change. What is more important in terms of sustainability, a label (organic certification) or to know the origin (focus on local production from trusted producers)? What is regenerative agriculture and how is it a solution to climate change?. Photos and videos by Sokol. The next Happy Food Workshop is scheduled for February 2019. Read more about the workshop and see pictures from the event at Naturlig Snygg blog.